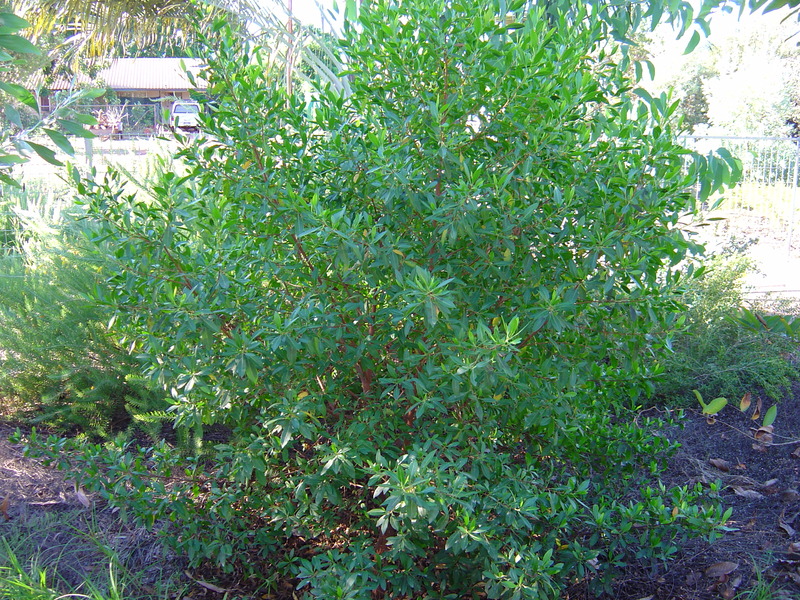 A tall shrub with dark green leaves. 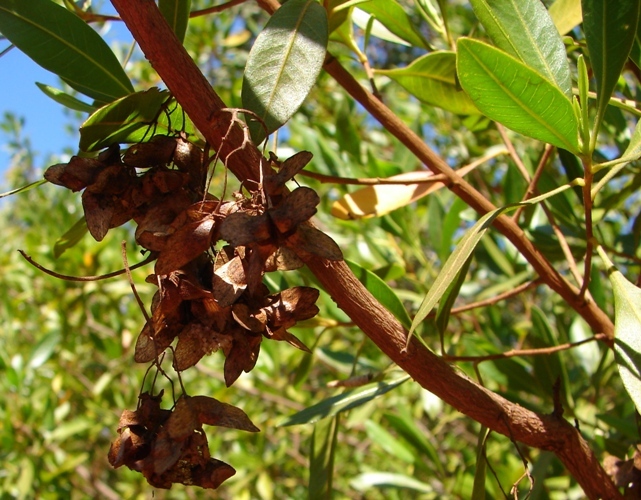 Growing to 6 metres, this Hopbush has tri-cornered pinkish papery pods turning brown when ripe, containing small round black seeds. 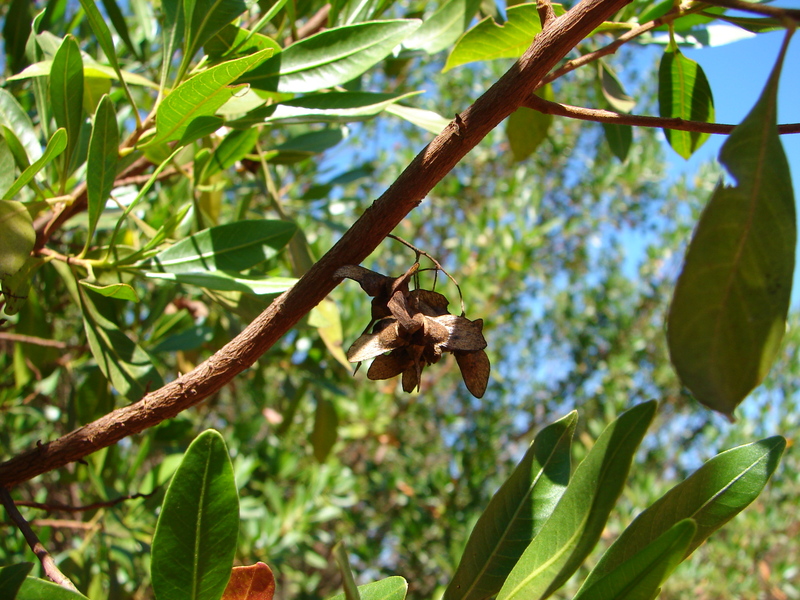 Plants of the Dodonaea genus are good sources of diterpenes, particularly clerodane diterpenes. Dodonaea is a genus of plant in the soapberry family (Sapindaceae), named after the Dutch herbologist and physician Rembert Dodoens. There are over 68 species that have been discovered, and most of these originate and grow in Australia. 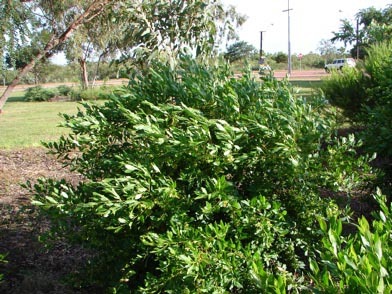 All species in the Dodonaea genus are woody perennials that grow between 1-4 m in height. 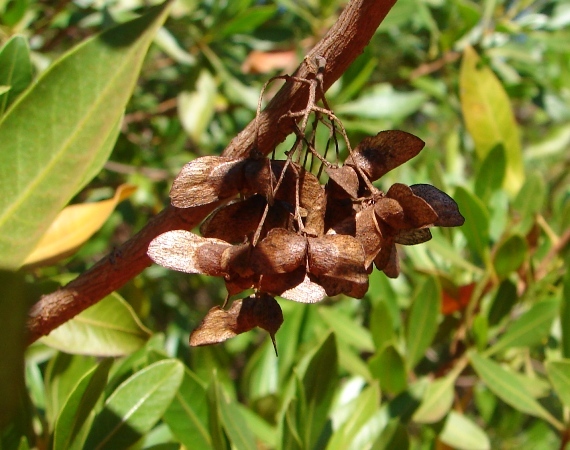 Many have resinous exudates on their leaves, particularly Australian natives. 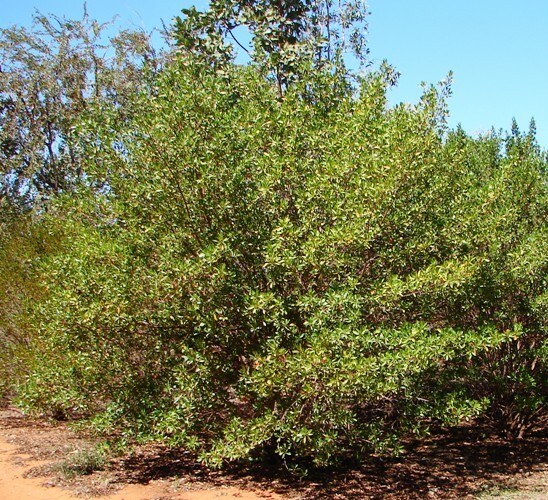 The most abundant species is Dodonaea viscosa, which has been well-studied by botanists and chemists. 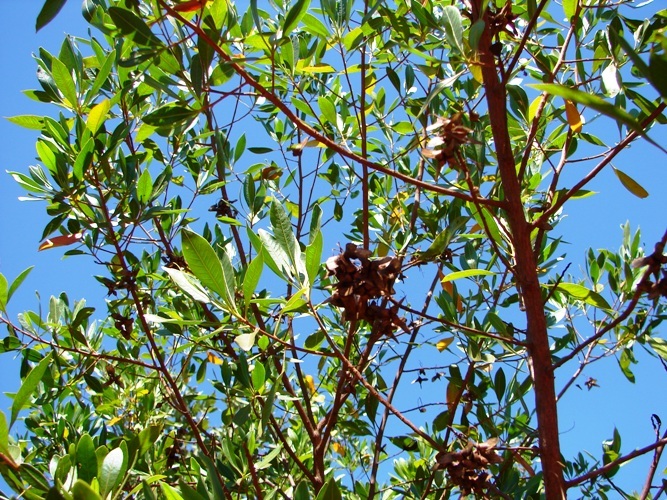 Dodonaea viscosa is an excellent source of clerodane diterpenes, which are widely recognised as insect antifeedants. Additionally, some display anticholesterol, antibacterial, antitumoral, antiinflammatory and hallucinogenic properties. This entry was posted in Dodonaea and tagged Dodonaea platyptera. Bookmark the permalink.